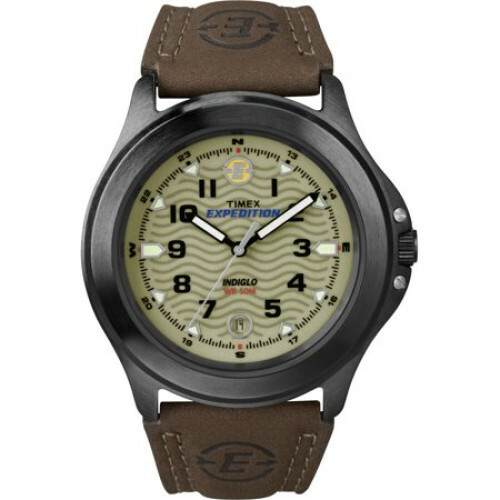 The Timex Men's Metal Field Watch is perfect for every man to look stylish and fashionable both indoors and outdoors. Move over Indiana Jones, with its smart design and great functionality, this metal field watch keeps everyday adventurers running right on time. This men's watch has an INDIGLO night-light feature that illuminates the dial for easy viewing of the time in the dark. Also with the quick date function you can easily set the date and day like a snap. This Timex Indiglo watch comes with a brown leather strap that lends you a classic and defined look while offering extended durability for a long lasting performance. 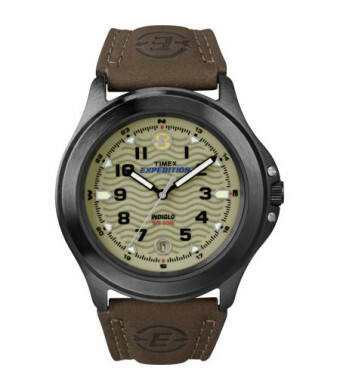 For added convenience, this brown leather strap men's watch is water resistant thus makes for ideal use in water sports also. This Indiglo night light watch is sure to give you a stylish look wherever you go.